Home > Blog > What Is An Oil Tank Scan And Why Would You Need One? What Is An Oil Tank Scan And Why Would You Need One? You are purchasing a new home. Are there any hidden dangers you should know about? How can you be sure? A home inspection is always a necessity to check for obscured issues such as the condition of the roof and a faulty heating system. However, what about the potential problems that could be located outside? One of the biggest is buried oil tanks. With an oil tank scan, you can avoid this hidden danger. 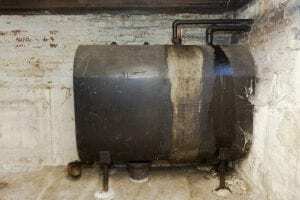 When you perform a search on the phrase “underground oil tank leak” you will find numerous tales of disaster from unsuspecting home buyers who found themselves on the wrong side of this problem. To prevent this from happening to you, an oil tank scan is necessary. If you are unsure about whether you need one for your home or property, read on. What can cause a leaking oil tank? A tank test may not be enough – a tank sweep typically uses a metal detector to search for underground metals. However, there is metal underground in most areas. This could include abandoned license plates and metal trash, which could mask the presence of a buried tank. And remember that you get what you pay for. Low cost sweeps will give you low quality results. Also, even if this locates an underground tank, it will not tell you if that tank is leaking oil. There are also soil tests to ascertain whether oil has leaked but the soil underneath the tank should be tested for the best results. A scan often uses ground penetrating radar (GPR) or electronic imaging. Bank and mortgage requirements – in order to approve your home loan, many banks and mortgage companies insist that an oil tank scan be performed. In addition, real estate professionals often require a scan be done before they will agree to list and sell a property. Liability – in other words, if it’s your property then it’s your problem. You are responsible for any and all damage, cleanup and potential lawsuits that result from a leaking oil tank. Local construction permits may need to be obtained and a certified laboratory must test the soil to ensure cleanup methods were successful. Groundwater investigation and cleanup might also be necessary. Environmental damage – leaking oil tanks can cause trouble for the nearby water supply, aquifers and other neighboring property. It could also damage the soil and groundwater. The price for cleanup can run into the millions. Soil disposal is often the biggest part of the budget. Cleanup could include removing the tank, disposal of contaminated soil and following the numerous rules and regulations in your state regarding site remediation. It is also advised that you follow the American Petroleum Institute’s guide for best practices. Only a trained professional excavation company should be trusted to handle the matter. Fire hazards – sometimes it’s not oil that is leaking from an underground tank, its vapors. This can create a hazardous situation because it could lead to combustion and fire when it gets into buildings. Health concerns — home heating oil contains many ingredients that are known carcinogens. Leaking vapors can cause numerous ailments such as nausea and respiratory diseases. Your local health department might also have to be called in. Insurance may not protect you – your insurance company will expect prompt notification of an underground oil tank problem but that’s no guarantee that they will help you recover any associated costs. Cleanup efforts can cost $4,000 to $15,000 or more, depending on the extent of the leak and subsequent damage. There could be financial assistance available from your state but only if you meet eligibility requirements. There is too much at stake – if an oil tank leak is discovered, there is often no way to determine how long it has been leaking. So many different organizations and agencies will need to be called, you will lose track. In addition, it can affect the value of your property, making it more difficult to sell in the future. This is not something that should be left to chance. How do you know if an underground oil tank is leaking? Oil heating tanks in general can be hazardous. Even above ground tanks can leak. The difference is that these tanks can be easily inspected and leaks are often visible so they can be repaired before any major damage occurs. A majority of underground oil tanks are constructed of steel. When steel is placed underground, it might have an adverse reaction to the soil around it. After years of being buried, corrosion can happen. Underground tanks are designed to hold between 250 to 1,000 gallons of oil. Oil tank leaks typically start out as a small hole. Leaks can extend 10 feet or more below the surface. If the problem occurs because of the fuel lines, it might be possible to fix it. Regrettably, if the underground oil tank itself is leaking, it cannot be mended. The only solution is to remove it and deal with the cleanup. There are several signs to look for. Lack of vegetation in an area with no other known cause can be a sign. An environmental contractor should be called in to perform an oil tank scan. A strong oil smell could signify a leak. While it might be normal to smell oil around your oil tank, having these odors in unidentified areas could be cause for concern. Drinking water problems, like weird tastes or odors, might indicate groundwater issues. This is especially significant if you get your water from a well. The presence of oil or an oily sheen in storm drains as well as nearby drainage ditches and streams is a serious matter. When you have a home inspection, don’t forget to request an oil tank scan. In some areas, it’s required. 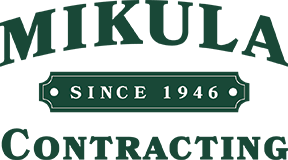 Contact a qualified excavation company like Mikula Contracting. We use state of the art equipment to perform a thorough scan of your property for your protection and peace of mind. Check Out These Oil Tank Removal Frequently Asked Questions!